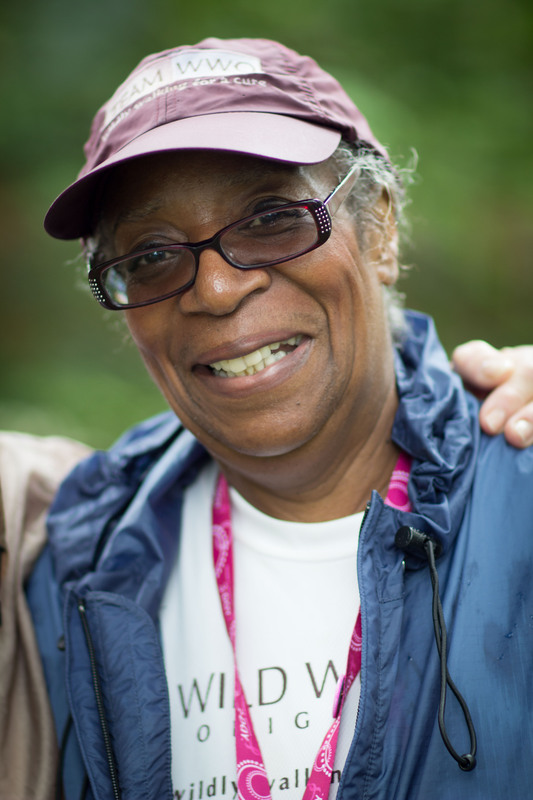 Gwen M. (aka “The General”) smiles on Day 1 of the Boston 3-Day in 2013. When the women said, “This is The General,” I had to ask. “Gwen here works as an access nurse at Mass General for newly diagnosed breast cancer patients” her friends responded. Gwen M, from Boston, has been working in a key position at The Gillette Center for Breast Cancer, caring for women at a time when there are unanswered questions and an unknown future. Gwen is surrounded by a solid group of wild women on the Susan G. Komen Boston 3-Day and by chance I was photographing in Cambridge on Day 3 at a cheering station when Gwen waltzed in. She immediately pulled Nancy P. (an original member of their team “Wild Women Originals” and cancer survivor) out of her wheelchair and waltzed with her! 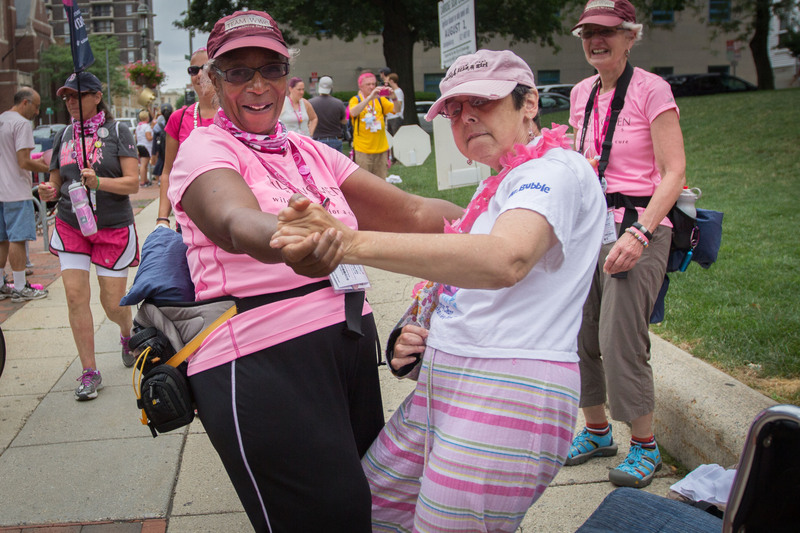 Gwen M. (aka “The General”) dances with close friend, cancer survivor, and original member of “Wild Women Originals” Nancy P. on the Boston 3-Day 2013. Thank you Gwen for your inspiration, warm smile and dedication!